Hey everyone. As previously announced, I have a short story coming out in the Four Horseman universe. If you haven’t been reading the books, they’re along the lines of David Drake’s Hammer’s Slammers books, only set through a combined universe with a variety of authors. The basic theme is space mercenaries in powered armor, so what’s not to like, right? My short story, Argonaut, is one of several in the anthology. Feel free to check it out and see what authors you may enjoy! Echo of the High Kings Book Bomb! 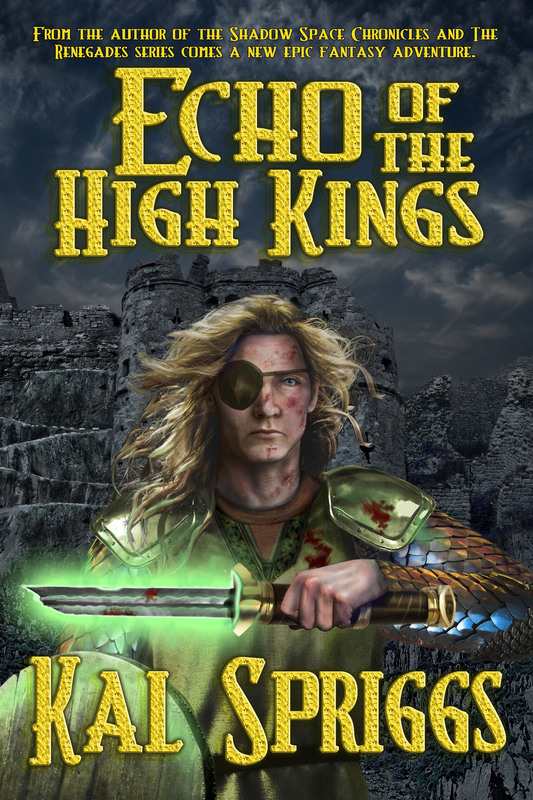 As a final reminder, the Echo of the High Kings Book Bomb is going on now! Drop by on Amazon and get your copy now! In Eoriel, the High Kings are legend: rulers who once stood against the darkness and ruled the world for two thousand turns of peace and prosperity. In the long turns since their fall during the Sundering, Eoriel’s civilization has faded. Dark men and darker beings have torn down and destroyed the old works. While some have held out against the grind of history, other places have been reduced to primitive tribes of savages, worshiping dark spirits and demons as their gods. Yet, a spark of hope remains: some still believe in the old legends, some still fight to restore the old ways, and some will stand against the darkness, in an echo of the High Kings.